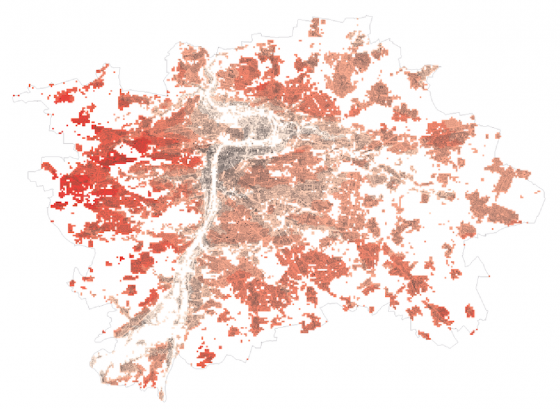 The Prague Institute of Planning and Development develops and manages Prague’s geographical data and performs spatial analyses of traffic accessibility, ownership relations within the city, and the structure of built-up areas, among others. An important activity of IPR Prague is arranging for current basic geographical data for all urban governance activities. The Digital Map of Public Administration of Prague includes the Technical Map, orthophoto maps, 3D models of Prague and a basic map of Prague at a scale of 1 : 25 000. At this time, IPR provides access to data for equal and transparent sharing of spatial information. For this purpose, it is preparing the eVýdej service – a free-of-charge, electronic service for issuing spatial data and a system for direct access to open geographical data. Over the last two years, all spatial analytical documentation serving as the basis for planning documentation has been updated – these documents describe the important values of the capital, as well as the limits, problems and development possibilities. The current version is the most detailed survey in existence of the state of the territory of Prague. Unlike Googlemaps and other programs, the 3D model application of Prague provides a wide range of detailed information about every building: for instance, it can tell you how many floors a building has and who owns it. The 3D model includes data on more than 200,000 buildings throughout the city. The extent of the buildings and the technologies used make this a unique application for displaying the 3D city model of the city. The application is based on ESRI technology; in June 2017, IPR won a “Special Achievement in GIS 2017” award from ESRI, the world’s largest supplier of spatial data software. Making the city’s 3D model available to both experts and the general public is one of the outcomes of IPR’s long-term monitoring of trends in the management and presentation of 3D models of cities.